William Hill Review 9.2/10 - Claim a 100% Welcome Bonus, up to £300! William Hill stands as one of the oldest gambling operators in Great Britain today. 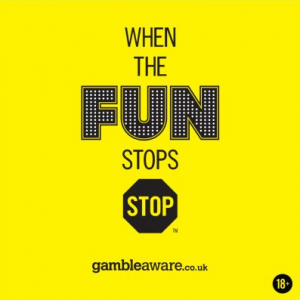 It was launched as a bookmaker shop back in 1934 while gambling was still illegal in Great Britain. Through time, the company has grown to become one of the most successful betting operators that also offers one of the best online casinos in the UK, which is the topic of today’s William Hill review. The platform is modern and has a fresh marine-blue background colour with all the necessary information and buttons clearly displayed. The games run smoothly and there’s even a downloadable client you can use instead of the website. William Hill has an almost-standard number of 400 games. Nevertheless, all the relevant game categories like slots, card games, table games, and live casino are present, along with a few surprises, such as Keno, Dice, and other casual games. In addition, the website offers nearly 100 jackpot titles with staggering rewards! William Hill Sign Up Offer may seem generous with a 100% up to £300 Bonus, but the wagering requirement that comes with it is pretty high at 40x. The rest of the roster consists of a few bonuses tied to Playtech’s Legends of Sports slots series which also have high requirements. The website currently has 4 channels by which you can reach them: email contact form, live chat, Twitter, and phone number 0800 0856 296. We contacted the live chat team, and they were quite fast to reply. William Hill offers 5 payment methods: Skrill, PayPal, Visa, Maestro, and MasterCard. The minimum deposit for e-wallet users is £10 and the minimum withdrawal amount is £5, while the maximum withdrawal stands pretty high at £80,000. The website is compliant with the GDPR EU act of data protection and privacy. It is licensed and regulated by the UKGC and the Gibraltar Gambling Commission. In addition, all players can see the RTP values and request an RNG sample from the casino. The casino greets every player with a very generous bonus – the William Hill new customer offer consisting of a 100% deposit match up to £300. To claim it, the minimum deposit amount of £10 is enough, but the requirements that come with it are very high as well. Players need to wager through the whole balance 40 times in just 7 days, while the wagering standard at most casinos is at least 30 days. The rest of the roster is also populated with bonuses with higher-than-usual wagering requirements and, unfortunately, we didn’t find any that were especially enticing while making our William Hill review. To single out some of them, there’s the Ronnie O’Sullivan Sporting Legends Slot Bonus where you get 5 Free Spins when you stake £5, but you have to wager them 35x in 24 hours. Then, there’s the Roulette Golden Chip Bonus where you get 5 Golden Chips for £10 stakes which you can use on Roulette, but again, there’s the 35x wagering requirement, and a withdrawal cap at £250. The only appealing promo we found was the Live Trivia Round that is free to enter and that has a shared prize pool of £15,000 every Sunday at 20:30 UK time. The website hosts around 400 games with a large selection of slots, table games, card games, live casino rooms, and casual games like Dice and Keno. In addition, the website has a ‘Rules’ page where you can learn everything about each game in the roster. All the games on the site, including the live casino rooms, are provided by Playtech, one of the leading manufacturers of casino games, and each game icon has information on the RTP, which rarely falls below 95%. The slots section has as many as 300 titles with a heavy emphasis on licensed franchises mostly from DC Comics and Warner Brothers titles. The roster also contains somewhere around 100 jackpot titles with rewards that range from €100 to €2,000,000! With somewhere around 40 titles, the card games section boasts a huge selection of Blackjack, Baccarat, Sic Bo, Hi-Lo, Pai Gow, Red Dog, and some live rooms. All games have varied stakes, and most of the blackjack and Poker titles allow for multiple hands during the game. There is also a small William Hill Poker section at the bottom of the page dedicated to video poker games. The table games section contains a little over 30 titles, with all of them being different variations of Roulette. Although lacking in diversity, Roulette fans can enjoy numerous exciting titles. We’d like to single out the Multiwheel Roulette that lets you play on up to six wheels at the same time with a huge range of stakes, as well as Age of Gods Roulette with a jackpot of over €100,000. Finally, William Hill casino members can enjoy 10 different live casino lounges with Blackjack, Poker, Baccarat, Roulette, and even Hi-Lo. The stakes mostly range from €1 up to €1,000. Each lounge has 10-15 rooms with a broad range of stakes, so both low-stake players and high-rollers can find a suitable table. The website has a modern and fresh design with blue being the primary colour. All the information you may need is neatly presented and all the necessary buttons are clearly visible. There are no intrusive ads or unnecessary animations that would hinder your loading time, but we have to note that we encountered a couple of glitches during the making of our William Hill review, as some games would happen to break down at the loading screen, but nothing too serious. Each game loads in a separate pop-up window that you can further expand, while most of them have a help section and a customer support button in case you encounter a problem. William Hill also has a desktop client for those who prefer to play in that way, but especially for the players who have problems with the internet connection. You can download it from their homepage and enjoy the full roster on your PC, but also contact the support, claim bonuses, deposit, and withdraw. William Hill has also prepared an app both for Android and iOS devices. Players can enjoy almost the full roster including the licensed franchises like American Dad, Suicide Squad and Superman. On top of that, players can access all the jackpot titles with progressive prizes as well as most of the game library that is featured in the desktop version, too. In addition, you can deposit and withdraw, claim specially-tailored mobile bonuses, and even contact the customer support. Although you can play the games by using your mobile Internet browser, you can download the William Hill mobile app from the dedicated web stores as it offers a better experience when it comes to atmosphere and speed. Registration is quite easy and intuitive. To begin, just click on the yellow ‘Join’ button on the top right side of the screen and the website will take you to the registration page. You will first have to enter your name, email, date of birth, mobile number, address, and country, before you are asked to enter your username, currency, password, and a security question. After that, just press the William Hill Login button, enter your credentials, and you can gamble away. The website, desktop and mobile apps come in English, German, Russian, and Japanese. Customers who encounter a problem can first consult the casino’s comprehensive and neatly organized Help page and search for the answer. The Help page pretty much covers all the necessary info, but if you have some questions, you can send a message to the customer support using the email contact form or by sending them a message directly on Twitter. If you need assistance from the William Hill customer service right away, you can always contact them by clicking on the live chat button. We tested them out with some general questions, and they were pretty fast to reply with a knowledgeable answer. Finally, if your problem is extremely urgent and you need an immediate answer, you can always call them on 0800 0856 296. Currently, the casino accepts pounds, euros, Australian, Singaporean, Hong Kong, US and Canadian dollars, Danish krone, Japanese yen, and Swiss francs; and when it comes to methods of payment, William Hill casino supports Visa, MasterCard/Maestro, Skrill, and PayPal. The minimum deposit for e-wallet users is £10, and the minimum withdrawal is £5, but when it comes to the maximum limit for withdrawal, William Hill sets itself apart with an unusually high amount capped at £80,000. The security is held on a high level, as the website is compliant with the GDPR Act – an EU piece of legislation that deals with data protection – while all UK players’ funds are kept on segregated accounts to prevent insolvency. As for the fairness, any player that has a William Hill account can ask for an RNG certificate. All RNG testing is done in-house by the casino and there is a special page with a contact form where you can enter your query about a certain game. Their team will send you the RNG documents as soon as possible and you will be able to check the fairness yourself. William Hill is licensed and regulated by the UK Gambling Commission (Number: 000-039225 R-319373-001) for customers in Great Britain, and licensed by the Government of Gibraltar and regulated by the Gibraltar Gambling Commissioner (RGL no. 034 & 042) for all other customers. Although betting is more in their line of business, William Hill online can also provide a solid casino experience with amazing bonus features and a fun atmosphere. The website boasts a diverse game library which has titles for all kind of players, both the casual who play for fun and pros that like higher stakes. When it comes to bonuses, slots enthusiasts will be delighted about the Legends of Sports promos. On top of it all, the website offers enjoyable gameplay through a wide range of powerful platforms, including the ones for mobile devices. Such a great offer is a prize in itself, but before we finish this William Hill review, let’s see some benefits you can find at this casino that will most certainly persuade you to give William Hill a go.